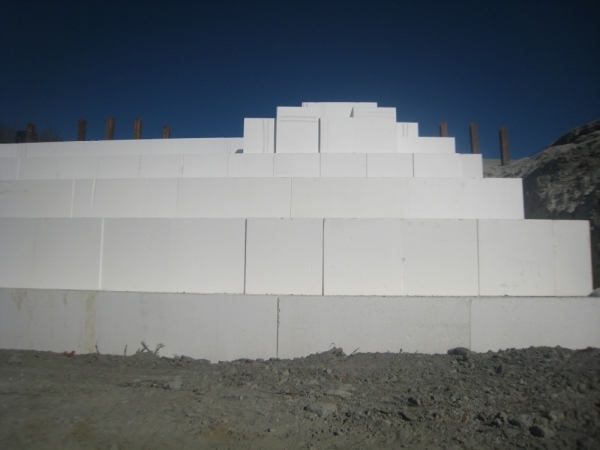 Introduced for the first time in the State of Indiana the use of geofoam (EPS) to stabilize slopes on Interstate I-74 Slide Correction. 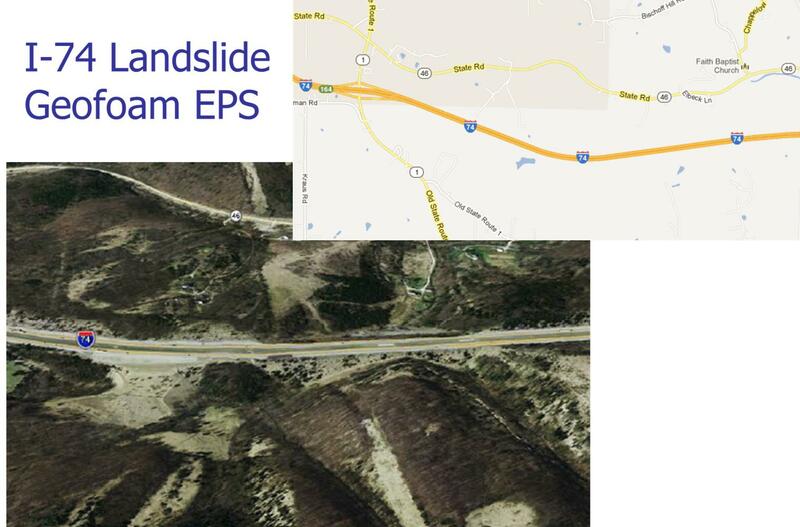 The slide located about 1.5 miles east of SR 1 in Dearborn County, Indiana. The failed soil was removed under the Interstate for about 20 feet deep then light weight expanded polystyrene fill (EPS) was placed as fill material.